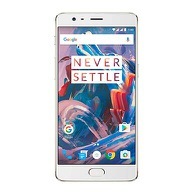 The OnePlus 3T, as with other smartphones from the OnePlus stable - was an iterative improvement over its predecessor - the OnePlus 3. It featured an improved processor - the Qualcomm Snapdragon 821, and an improved camera. There was a small bump in the battery as well - going from 3000 mAh to 3400 mAh. Apart from these features, there wasn't much distinguishing the 3T from the 3. In fact, it even featured the exact same display - clocking in a 1920 x 1080 resolution on a 5.5 inch screen - that's 401 pixels per inch on both the phones. In fact, even the protective solution OnePlus used was the same on both the devices - Gorilla Glass 4. 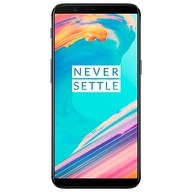 This meant that the OnePlus 3T had nothing new to assure users of more durability and reliability should the phone ever go through an accident. With nearly all the parameters of the display being the same, this phone was as prone as its predecessor to damage. 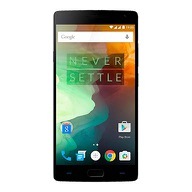 This would naturally mean trips to OnePlus service centers or local repair stores if that's what you preferred. But the issues with such scenarios are no secret - higher prices, low value, questionable reliability, the risk of getting overcharged and more importantly - having to deal with fake parts or data theft. A broken OnePlus 3T screen could turn out to be a nightmare. 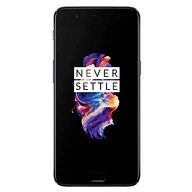 But what if you could fix your OnePlus 3T without having to deal with local repair stores or even service centers, without sacrificing on any a quality experience? Introducing ScreenPro, from Cashify. Screen Pro is an online screen repair service in Delhi, Gurgaon, and Noida, that offers screen replacements for your broken smartphone screen at your doorstep at reasonable prices, along with genuine parts. Aiming to simplify phone repairs without burdening you or your wallet, ScreenPro allows you to book a screen replacement appointment online on its website, and sends its expert technician to your home. Your phone's screen is repaired at your convenience at an address and schedule of your choosing. ScreenPro even offers in 6 months of warranty on its service, in addition to a 7 day long money back guarantee. 1. Select your city > pick the OnePlus brand > pick the OnePlus 3T > select the colour of your device. 2. Hit Go, enter in your mobile number and the ScreenPro OTP that you will then receive on your mobile. 3. Click Submit, and you'll see the price estimate for your OnePlus 3T's screen repair. 4. Choose your preferred appointment time and date, fill in your address, and click on Continue. 5. Review the details of the appointment a final time before a final confirmation on your screen replacement. Now, all you have to do is wait for the expert technician to arrive. Fixing a broken screen was never this easy. You can even get the screens repaired for other smartphone brands - such as Apple, Xiaomi, Lenovo, and more.